For this iPhone, we were all hoping for an iPhone 5, which is to mean, a redesigned phone. Instead we got an updated iPhone 4, we got the iPhone 4S. A bigger screen, the iPhone 4S will be the usual 3.5". 4G! This is huge, can people wisely enter into a two year contract without 4G. 3G might be good enough now, but what will happen in a year with carriers shifting their resources to 4G LTE? When websites continue to demand more bandwidth? When our lives inch closer to the cloud? This launch reminds me of the first iPhone, the 3G technology was there, but Apple chose the safe route and went with 2G. When Apple released the iPhone 3G a year later, it rendered the first iPhone obsolete. Many mactards were "forced" to upgrade. A dual core processor and bump in RAM. This is great in theory, but the iPhone 4 never lagged, I guess if you want to play high end games this is good. 8MP camera, this is also great in theory, but iPhone 4 already had the best phone camera, regardless if it was 5MP. Superfluous upgrades. Sprint as a third option for a carrier. 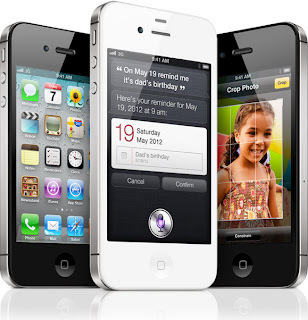 The iPhone 4S is still a top phone and is the best available phone for a lot of people. However, with Apple taking a long 15 months to release their fifth iPhone, they should have added 4G. In a week Samsung will announce the Nexus Prime, the ball is in their court. We will see what the "Ice Cream Sandwich" OS is all about. so. disappointing. i really wanted a better iphone!